Yothin met Dejchaiya Petchyindee last night at Rajadamnern for the heavily anticipated main event of Petchyindee’s Thursday promotion. Yothin set the pace early with vicious leg kicks and sharp counters, landing a flurry of elbows and body sweeps in the second and third rounds, and playing evasive for the fourth and fifth - forcing Dejchaiya to pursue. In a new joint promotion between the daughter of one of the Rajadamnern promoters and her Chinese partner, two of our Thai fighters and two of our foreigners came to battle it out live on Chinese TV. Kris was the second fight of the first bracket, and was already wrapped and oiled when the promoter came in to tell us that the first round would be scored on a ten-points must system - and limiting the clinch. Although not forbidden, clinching fighters would be broken once position was secured, and no leg sweeps were allowed at all. Kris adapted well, establishing control early with heavy punches and racking up the score with chains of well-timed knees, even in the limited clinch. He came out with a dominant win on points after three rounds, his first win against a Thai opponent. “I’ve never fought an opponent with such strong kicks”, he said afterward. Songfangkong also fought in the first bracket. He had never fought in a three-round format, or with limited clinch. He wasn’t able to up his pace enough to match his opponent, losing the first round badly, and covering for much of the second. Although he began to turn it around in the third, landing a body takedown just before the final bell, it wasn’t enough to make up for the first two rounds and he lost on points. Komawut fought in the second bracket, dominating the entire fight with rock-solid defense, and winning on points after three rounds. He adapted well to the modified style, landing heavy punches, and brutal leg kicks, and catching a beautiful sweep off a spin kick that brought a roar from the crowd. Mark was our last fight of the night, and he started slow, with his opponent controlling the ring and the pace - Mark chased, but struggled to make contact in the first and second rounds. He began to pick it up near the end of the second round, landing a knee that doubled his opponent over, and by the middle of the third round, he had hit his stride, driving the clinch and forcing a count after a punishing volley of knees and elbows that left his opponent sagged against the ropes. He came out with a points win, our third of the night. Overall, a satisfying evening. Next up: Yothin FA Group vs Dejchaiya Petchyindee. Songfangkong fought again last night, after weeks of preparation and build up for what might have been the final bout between the young fighters. The two had clashed twice before, with Songfangkong emerging victorious both times, and the pressure was high: not only was the young fighter 2-0, but the camps had agreed to a significant side bets. Tan gave the fight its full due, the seriousness of the event evident in his training, the intensity spilling over in the rest of the gym: space opened on the small, crowded floor as people stopped to watch, the older boxers taking extra time to work with him to refine his technique. And then, the day before weigh-ins, his opponent disappeared. In the last-minute shuffle, he was replaced by a fighter who had not cut weight, and on Wednesday morning Songfangkong weighed in at 120lbs against Kwaeng Gongtorani’s 128lbs. Songfangkong, still finding his rhythm in the first and second rounds, dropped behind early, and his opponent’s lead was solidified by a series of skillful takedowns in the third. Songfangkong spent the fourth and fifth rounds playing catch-up, stalking down a larger opponent who knew he was ahead. Although he wasn’t able to pull out the win, Tan stayed calm and focused. The intensity he’s been showing during training translated nicely in the ring as he played the aggressor, driving a full three rounds of clinch. A long way from the young boy who used to cry in the corner of the ring. Photos from Muay Siam below. Ruslan had his second fight with FA Group last night. This time he was pitted against an experienced opponent in Helenski Pumpanmuang. Ruslan is staying with FA Group for several months and we are looking forward to seeing more from him in the ring. Thanks to Team Haizler for sending him out! Go Team Israel! 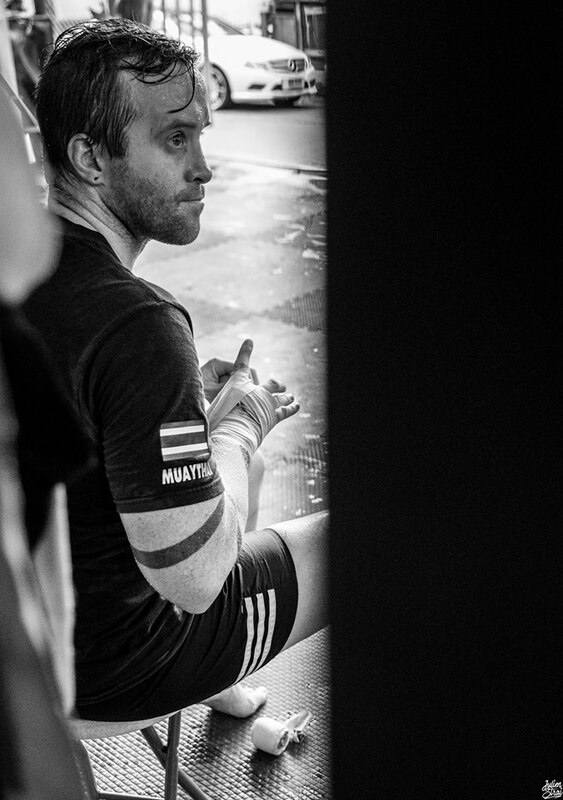 Brogan had his third fight in as many months at Max Muay Thai this week. The Australian looked good and improved on his clinch work. We look forward to seeing more from him. Thanks to our friend Tarimpress for the photo! Yothin got a recent write up in SMM Sports. Here it is with the translation. This amazing fighter out of Udon Thani has great form and even though he lost to Kiewpayak Jitmuangnon, Yothin fights best at 115 pounds. No one can escape his clinch. We talked to Wanchalong PK Saenchaigym and Jomhod Eminent Air. They both said that Yothin has the strongest grip. It is not strange that Yothin is the best at 115 pound fighter in Thailand. Here is Yothin's fourth meeting with Kiewpayak. The previous matches had Yothin up 2 wins and 1 loss. This one was at 118lbs (Yothin normally fights at 115). Yothin made 120,000 baht for this one while Kiewpayak made 85,000 baht. Daily Muay Thai newspaper Muay Siam published a great piece on head trainer Diesel. The article has been translated and can be read below! 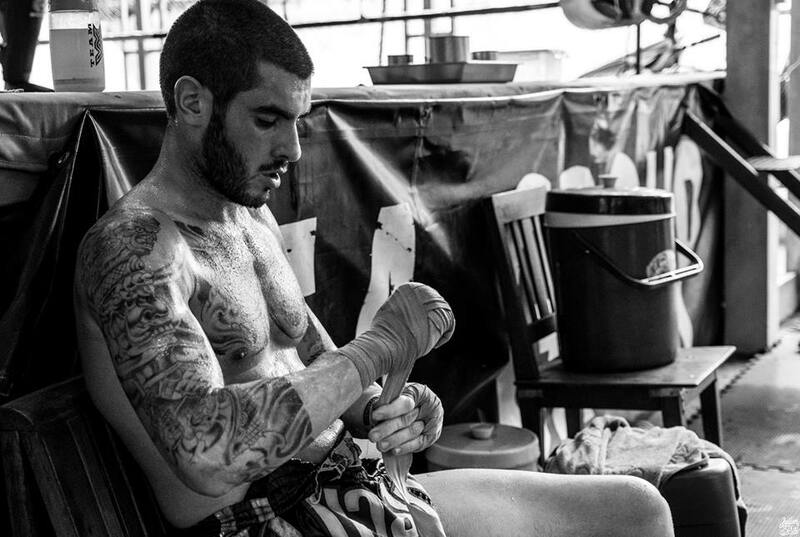 Read about one of the best Muay Thai trainers in Thailand! 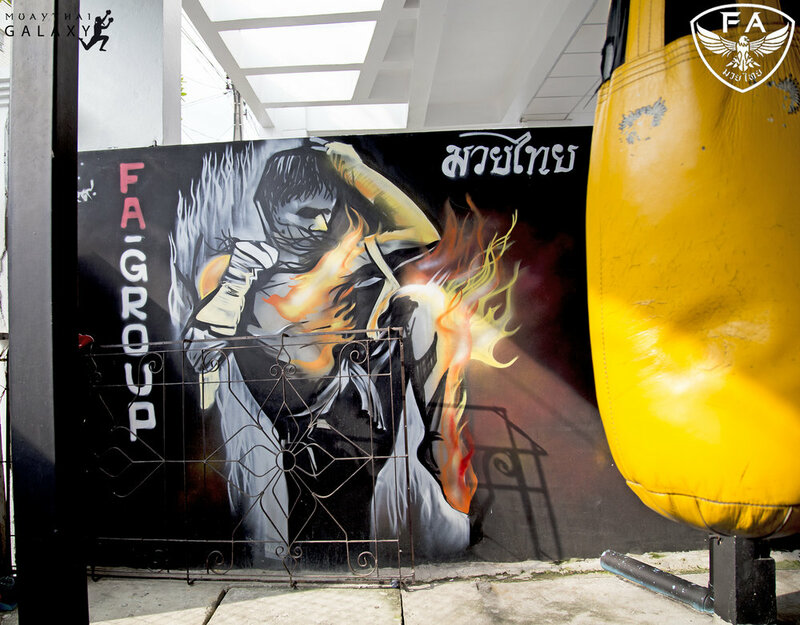 When talking about FA Group Muay Thai gym, everyone knows the camp’s famous fighters; Yothin, Komarwut and the most legendary Petchboonchu. Behind these successful fighters is Diesel FA Group or Mr.Wandee Numthawat, a 52 year old from Loeng Nok Tha,Yasothon. He is the head trainer of FA Group Muay Thai gym under Mr. Liam, the owner of the gym who runs the business under Mr. Tong, owner of FA Group food additive company. Diesel started Muay Thai when he was 13 year old but he didn’t get support from his parents. They were too worried for the only child in their family. Eventually his father is allowed him to start learning Muay Thai from a gym in Diesel’s hometown. The young Deisel would follow the fighters and watch them fight. When he came back home he hung a sandbag outside of his house to emulate his heroes. He eventually got into the ring himself and his first bout ended with a TKO win the second round. The win made him feel confident in his abilities and he kept training until the manager of Sor Tinakorn gym brought him to stay at the camp. At the time Sor Tinakorn was the largest gym in the area. He continued to train and moved to Nakorprathorm gym where he won 4 to 5 times. 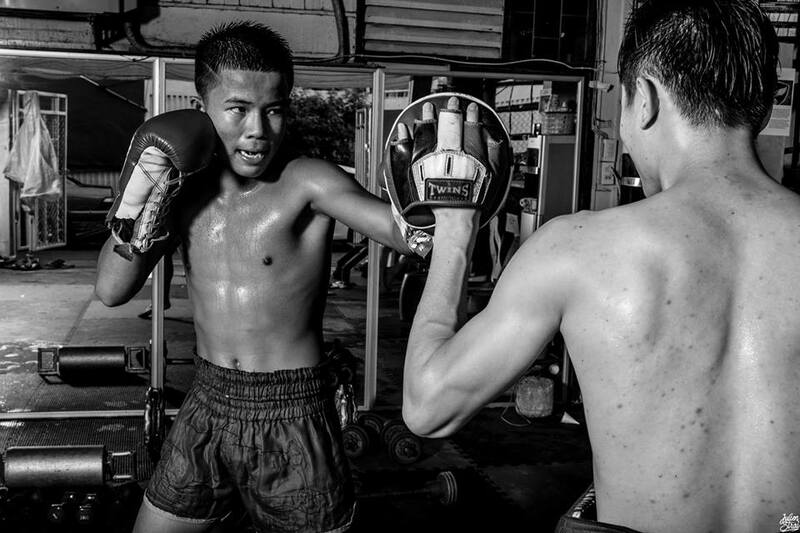 He was slated to fight at Channel 7 but the fight never happened and he returned home to open a gym of his own in Yasothon, Sreeroj Watsadu gym,under the management of Ajarn Niroj Pongsaklek. The gym built many famous fighters in the 2-3 years it was in operation including Pongsaklek and Songnarong. When the Sreeroj Watsadu gym closed, Diesel was brought to work with Bua sel Pinrach in Nong Khai Province. That only lasted for a 5 monthhs before everyone moved on. Luck was with Diesel for his next venture though. Diesel’s friend Kradingthong Compoothong introduced him to Mr. Liam Bor Boonchu who had a small gym in Nong Khai. There weren’t many fighters at the time, only 3 or 4, but Diesel stuck with it. There was Petchboonchu, Petchboonchuay, Khongphikat and Yoknoi. “We built Petchboonchu since he was kid. He was only 30kg when he started and he started fighting in Korat. We met Kru Ood Buay yai while in Korat and that’s how we began fighting for Petchyindee events,” Diesel said. Diesel continued on with his hard work and in 2014 Diesel had one of the most successful years of his career. He received trainer of the year for 2014. Not all was going well with the gym though. There were problems with some of the trainers and fighters. Diesel revamped the staff and brought a full team to build the fight stable again. Diesel worked hard and was able to push Petchboonchu’s career forward. Hebecame one of the best fighters at Lumpini stadium and is one of the most highly decorated Muay Thai fighters in the world. “Now we have Yothin. He came to the gym a few years ago and only made a few thousand baht. Now he gets almost 200 thousand baht per fight. I am happy because Yothin is happy,” Diesel continued. “I’ve been doing Muay Thai for almost 30 years now and some time is happy and sometimes are unhappy but I am very grateful that I’ve always been supported by Mr. Tong and Mr. Liam. I want to keep producing quality fighters for FA Group. I will always do my best to build good fighters and won’t accept bets or cheat them. I will not disappoint,” Diesel concluded. French friend Julien Strai came by the gym the other day to take some great photos. He is currently doing a series on Muay Thai called Fight or Die. You can check it out on his website. Thanks for the photos! 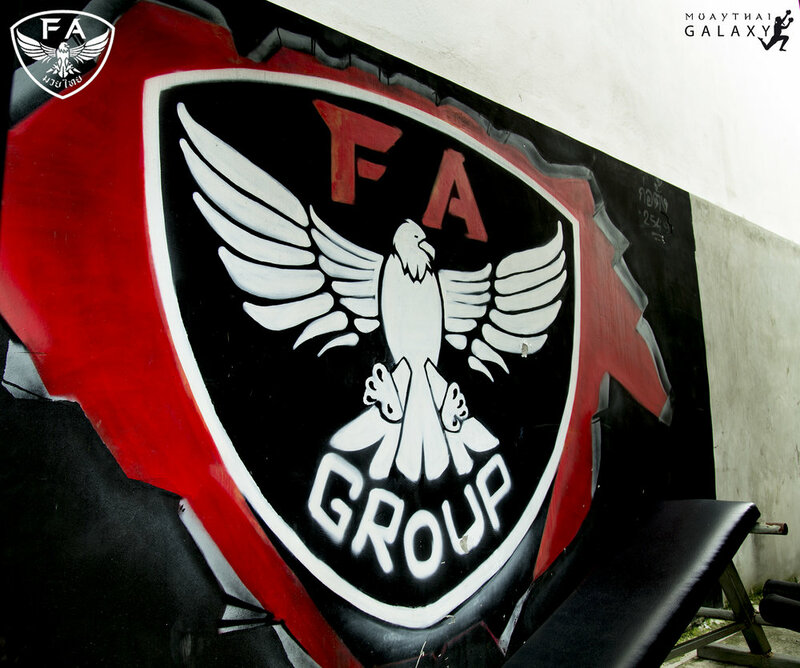 Recently we had our french friends from Muay Thai Galaxy come to FA Group to take some photos. We'll be posting the photos on our instagram but wanted to share them here as well. Team Israel has been training out of FA Group in the last few weeks in preparation for the youth IFMA fights. The IFMA (International Federatioin Muay Thai Amateur) is a large organization that is pushing Muay Thai into the Olympics. Currently the sport is in provisional status which means that in a few years Muay Thai may be a full fledged sport in the Olympics. In preparation for this many countries are pushing Muay Thai. This is the case with Team Israel who each year are growing as a team and securing more and more medals. This year 11 year old Amin Mdah competed against Germany in the 1/4 final round, Amin used good teep and clinch techniques throughout his fight but sadly the judges saw it differently and Amin lost his fight. Amin had a great training camp in FA Group and was trained by Petboonchuy and Diesel. New comer 15 year old Ariel Steinberg who experienced Thailand for the first time at FA Group got a draw straight to the semi final in cadets 14-15 at 51 kilo. Ariel had a tough fight against Spain but came through on points and advanced to the finals against Thailand, Ariel stepped to the ring against Thailand more composed, focused and with a goal in his mind, to be world champion. Ariel fought well against a far more experienced Thai opponent, blocking his kicks and hitting the Thai with a punch kick combination, in the clinch Ariel did fairly well, but came short on points but went on to win the Silver medal. Ariel credits his clinch experience with FA Group fighter Tan for his silver. 16 year old Amit Mdah who has become a familiar face in FA Group in the last few years competed in the Junior 16-17 division and won against Madagascar in the 1/8, in the 1/4 final Amit went on the fight the representative of the Palestinian Authority, sadly the opponent's team boycotted the fight, Amit was not there for politics, Amit was there to fight and advanced to the semi finals against Ukraine. In the semi final Amit began the first round with his usual superb footwork and punch to elbow techniques, and injured his opponent face, in the second round the Ukrainian opponent out pointed Amit, in the 3rd round Amit did more damage with his strong elbows and the Ukrainian pointed more and won the fight, Amit went on to win the Bronze medal. 17 year old Din Haziza who competed at the Junior division 51 kilo, went up against Austalia in the 1/8 round, Din knocked out his opponent viciously with a headkick in the 2nd round and advanced on to the next round. In the 1/4 Din won against Sweden and in the semi finals against Kazakhstan. Din went on to the finals against a Thai from Udon Thani, a Lumpinee fighter with 70 fights, Din fought well using his femur style technique and matched his opponent well, but the scorecards were very close but not enough and Din won the silver medal. Prior to his medal win Din had a solid camp at FA Group and also with Petchboonchuay who trained out in Israel. 17 year old Elad Suman who has been in FA Group before and is known for a good clinch game, strong kicks and superb movement competed in the Junior 16-17 division 67 kilo, Elad went up against Turkey in the 1/8, Elad outclassed and taunted his opponent using his trademark middle kicks and evasions and won the fight, in the 1/4 he went up against a talented and experienced fighter from Peru, Elad showcased good punch and combination techniques and dominated the clinch game and advances to the semi finals against Ukraine. In the semi finals Elad fell short every round against Ukraine, it was very competitive but the opponent had an answer to the kicks, and strong defense and scored better in the clinch. Elad lost but was awarded the bronze medal. The training camp in FA Ground improved Elad's clinch defense and stability, Elad worked morning and afternoon with James, Yothin and other strong Thai's and was well prepared for the championship. 17 years Roie Ullman competed in the junior 16-17 75 kilo division, Roie who comes from a great school of Muay Thai but lacked some experienced fought in the 1/4 against Russia, Roie's technique was clear and precise, but in the later rounds the Russian pushed the pace hard and won on points. Alex Dar one of the head coaches for the team said, "I have been visiting the Gym for the last few years and sending the fighters there to prepare for international fights and tournaments, FA Group offers aggressive style techniques with a unique clinch regime that proves itself over and over in competition, regardless of the professional aspect of the gym it is like a family to us, the trainers and management takes care of us and we feel like home, I will miss my friends in the gym and I will come visit very soon." It's important to know Thai when you come to Thailand. Here is a great breakdown of some common words with the english transliteration, the written Thai and the Thai transliteration. Our star fighter Yothin FA Group was recently in a Vice magazine article about cutting weight. Yothin faced off against Somraknoi Sor Jittpatana. Yothin is moving up in weight class to face him. He already beat him on points once. Sai took a bout last night at Lumpinee. He is one of our up and coming boxers and took the bout on points. Not only did he get the win but he also got some press coverage with a write up in Muay Siam. It's been a busy week for FA Group with Komawuut, Wangnamyen, Yothin, and Erik Masson fighting. We've had some wins and some losses at FA but continue to push forward. Foreign fighter Erik Masson took a bout at Rajadmanern and won via tko in the third round. Erik smashed into his opponent's leg to knock him out and take back the victory to FA Group. Yothin fought over at Rajadmanern as well. As previously reported Yothin has had to move up on weight as no one wants to fight him at 115lbs. His opponent was slightly bigger and took home a points victory. Yothin will be back in action soon. Wangnamyen fought on the Thai Rat Muay Thai fighter show last saturday. He had a bad first and second round but then put on the pressure in the third. It wasn't enough and after three rounds of action he lost a points decision. Komawut took home a win at Muay Dee recently. He's been training hard and took home a points decision win.